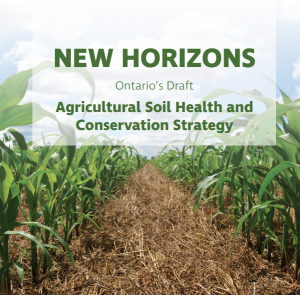 On November 1st the Ontario Ministry of Agriculture, Food and Rural Affairs released New Horizons: Ontario’s Draft Agricultural Soil Health and Conservation Strategy for public input. 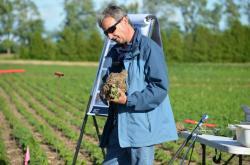 The strategy will serve as a blueprint for Ontario agriculture to protect and improve its soils for years to come. The strategy has four key areas soil management, soil data and mapping, soil evaluation and monitoring and soil knowledge and innovation. Input is being sought on actions proposed in the strategy. Are they the right actions? Are there other things that can be done to move each of the areas forward? Are there innovative approaches that have not been considered in the strategy? Your input will be taken to improve the strategy which in turn will help address soil health and conservation issues going forward. Please take some time to review the document and provide your thoughts and feedback on the draft strategy. Participate in a Webinar. Another way to hear about the draft soil strategy and provide feedback is through a webinar / teleconference being held on Dec 11 from 1:00-3:00pm. To register for the webinar / teleconference please call the Agricultural Information Contact Centre (AICC at 1-877-424-1300) or email ag.info.omafra@ontario.ca. Click here for more information and to access the document. 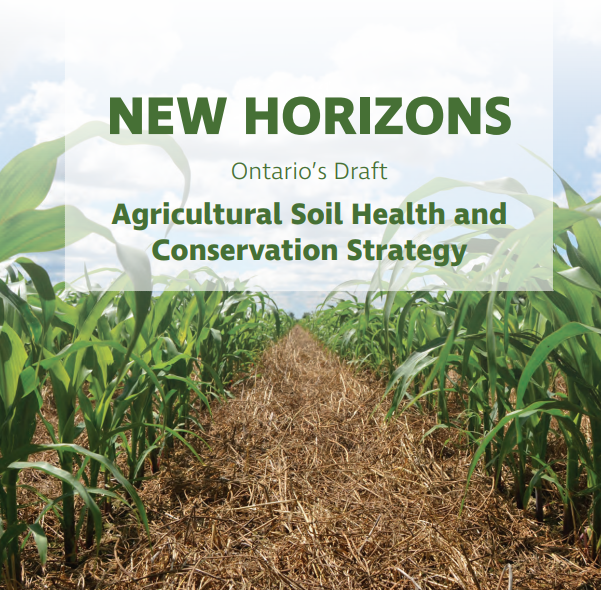 A final Soil Health and Conservation Strategy for Ontario which will be released in spring 2018.